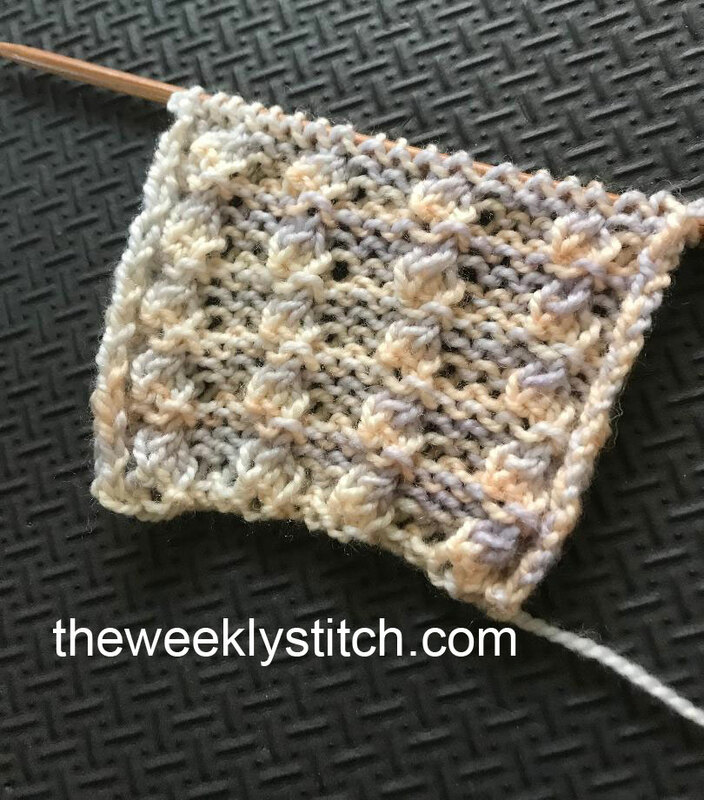 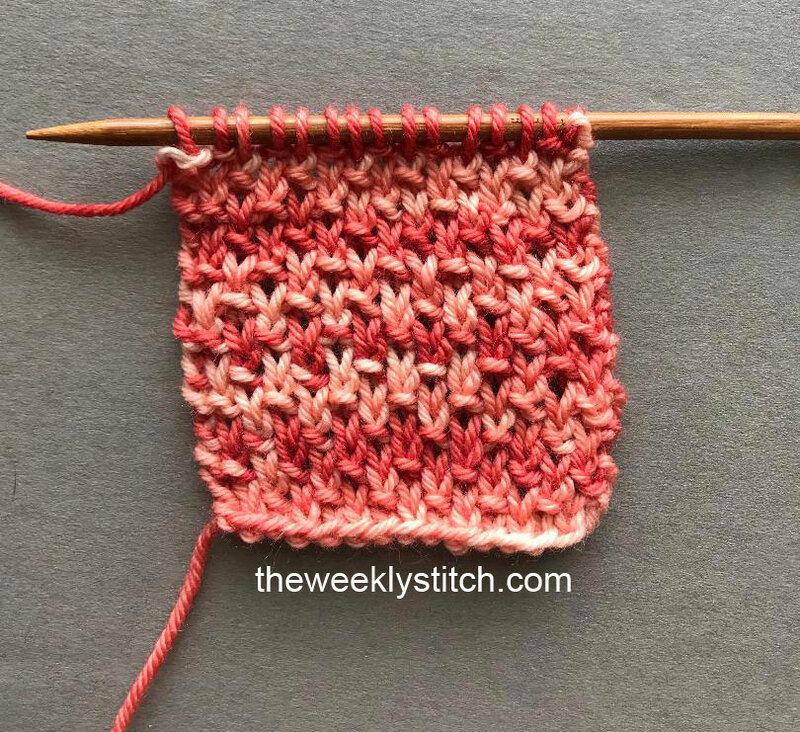 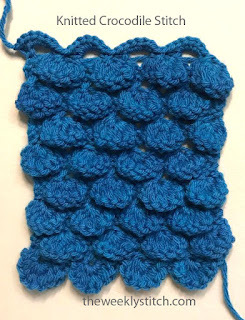 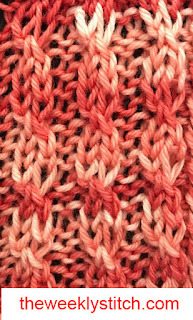 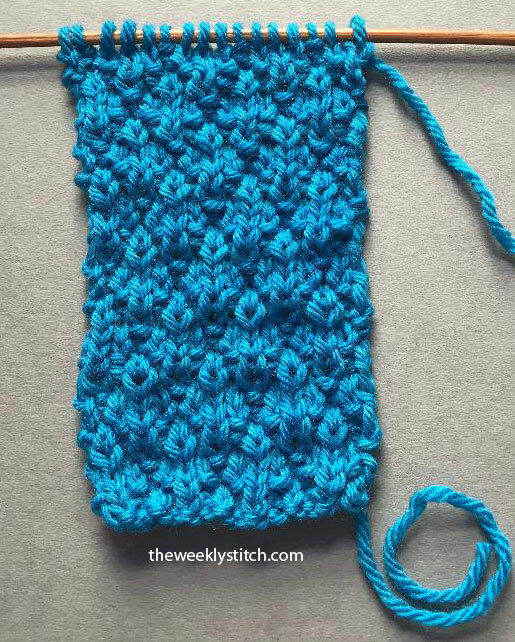 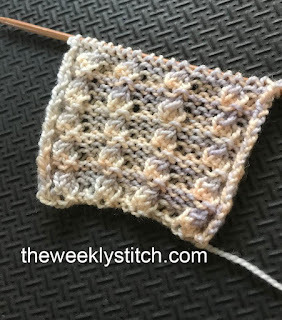 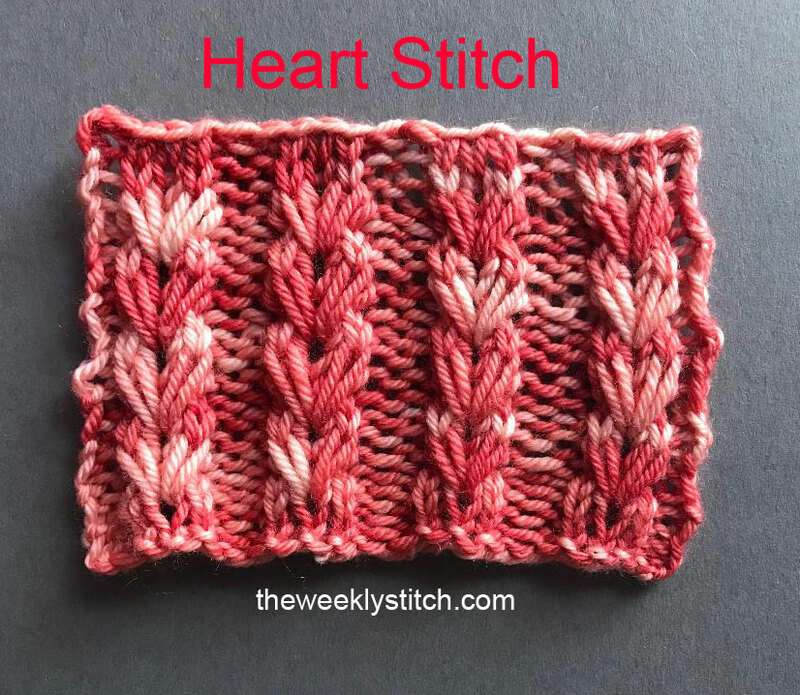 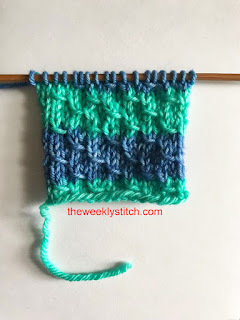 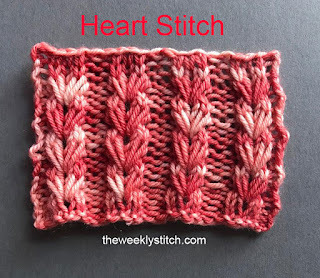 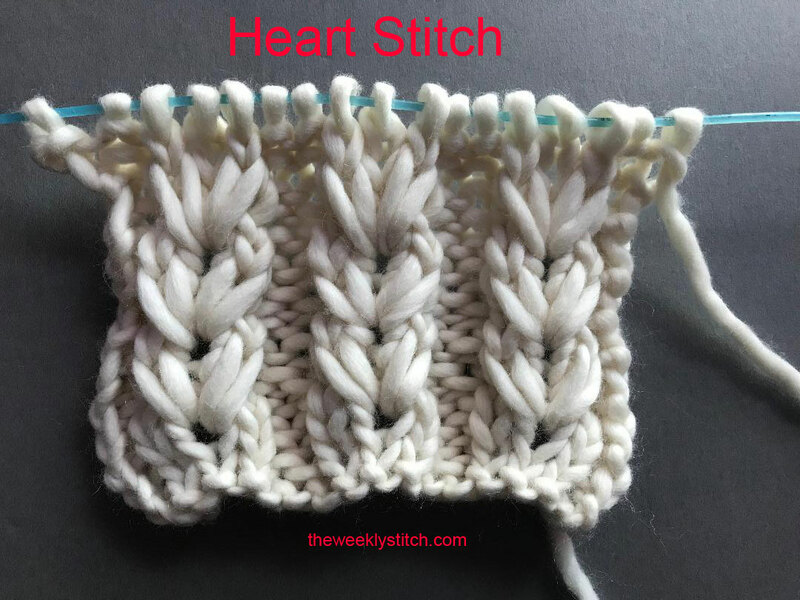 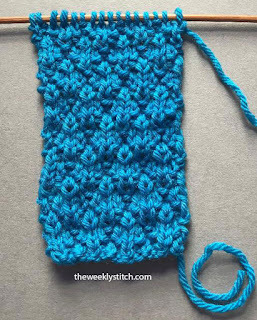 The sides of this do curl a bit, so you may want to consider adding a border depending on how you plan to use the stitch. 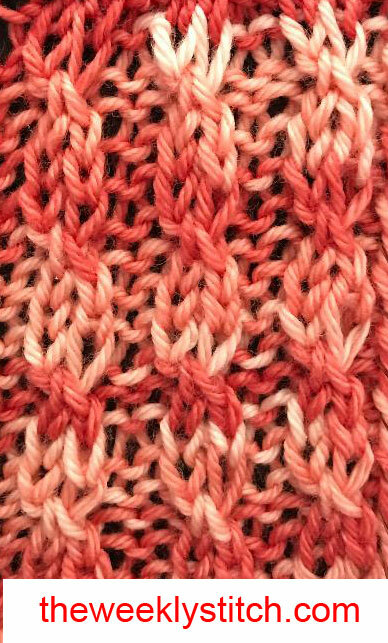 Another stitch from this French channel - I omitted the edge stitches for mine - you can add two extra stitches if you like, one for each edge . 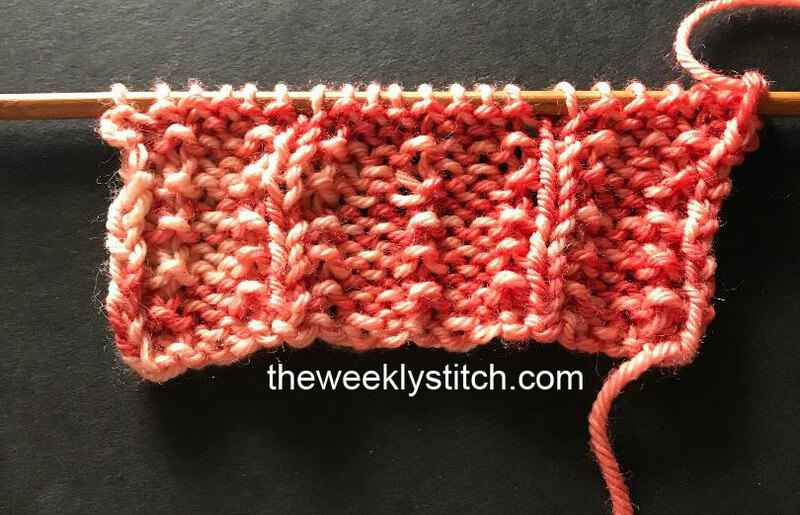 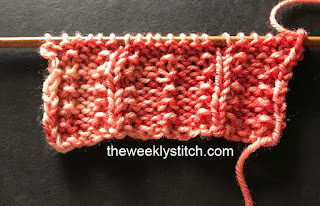 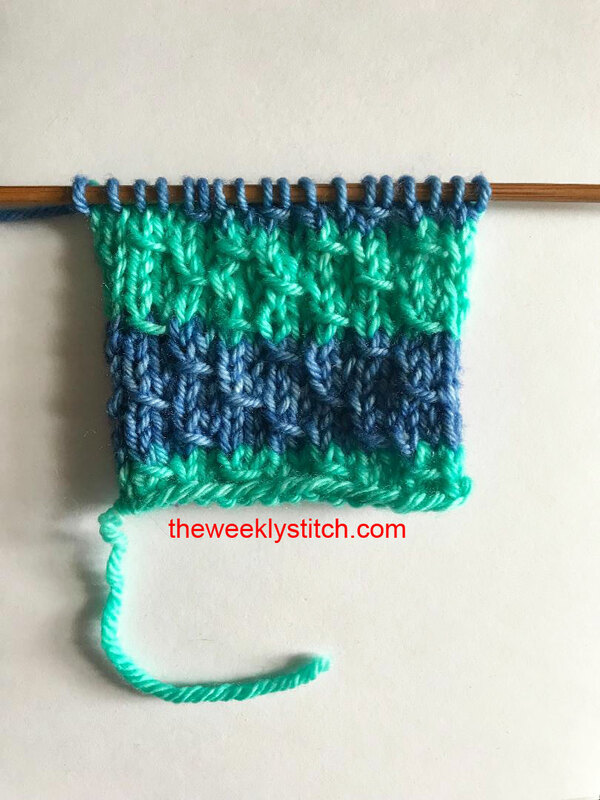 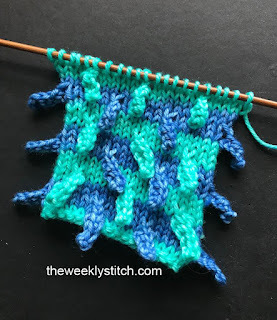 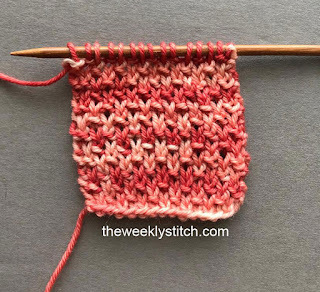 Slip the first stitch and either purl or knit the last; if the next to last stitch you made was a knit then knit the last stitch and if the next to last stitch you made was a purl, purl the last stitch.